Railpictures.ca - Myles Roach Photo: The first of what would be many trains loaded with corn coming from ADM on Windsor’s west end is seen here wyeing himself before heading west back to Detroit, and eventually en-route to Louisiana. These are former CSX tracks, and it was fascinating to see this train on them yet again after a 20 year hiatus. At the moment, this is a fairly rare move as these trains are coming into ADM about twice a month. | Railpictures.ca – Canadian Railway Photography – photographie ferroviaire Canadienne. Caption: The first of what would be many trains loaded with corn coming from ADM on Windsor's west end is seen here wyeing himself before heading west back to Detroit, and eventually en-route to Louisiana. 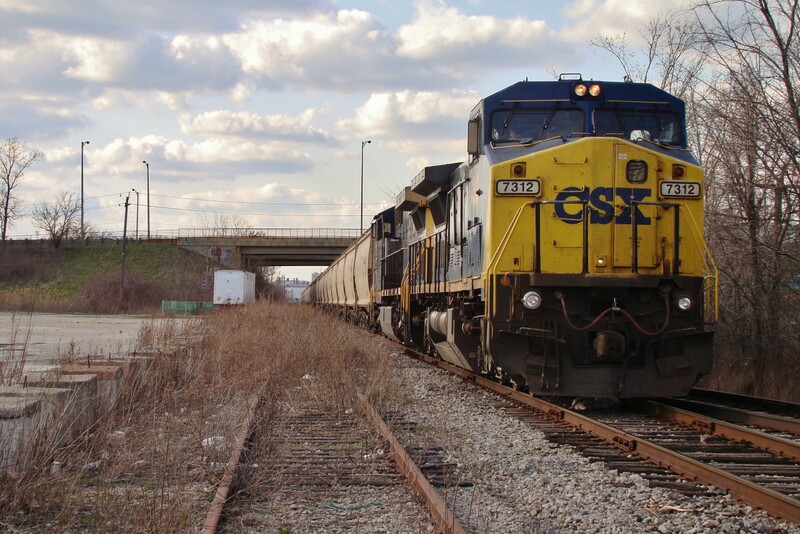 These are former CSX tracks, and it was fascinating to see this train on them yet again after a 20 year hiatus. At the moment, this is a fairly rare move as these trains are coming into ADM about twice a month.